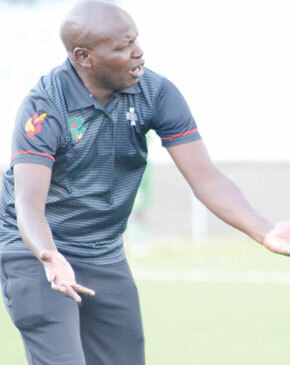 Malawi under-23 national football team Coach, Meke Mwase, has expressed optimism that his side will overturn the 1-0 defeat it suffered at the hands of Zambia at Kamuzu Stadium in Blantyre on Wednesday. The two teams meet in the return match tomorrow in Lusaka as they battle to advance to the next stage of the 2019 under-23 Africa Cup of Nations qualifiers. Speaking yesterday before departure for the Zambian capital, Mwase assured Malawians that the team has recovered from the narrow defeat. “Our message to Malawians is that we are leaving for Zambia very positive about the return match. The boys have assured me that they will give out their best to advance in the competition. We believe that it is not over until it is over,” he said. Asked to state how many changes he would make to get the result in the away match, Mwase said people should not expect changes. “I have hope in all my players and what the technical panel has done is just to encourage them to believe in themselves. All the players are fit and available for the return match,” he said. Malawi under-20 Team Manager, Griffin Saenda Junior, said he knows the character of Mwase’s players having worked with them on several occasions. “Expect a tough fight in Zambia. These are very passionate players who are hungry for victory. They can deliver where people expect them to fail. It does not matter whatever formation the coaches use but this is a team that can get the result,” Saenda said. The junior Flames failed to utilise home ground advantage when they succumbed to Fashion Sakala’s 78th minute header. The winner between the two teams will face either Congo Brazzaville or Burundi who drew 0-0 on Wednesday. Malawi’s junior teams have proved to be good travelers as they get results when playing away. The Under-23 side beat Botswana 2-1 in Gaborone but drew 1-1 in the return match at Kamuzu Stadium. Most of the team’s players were also with the under-20 squad that lost 1-0 to Zambia in a friendly in Lilongwe last year but won by the same margin when the two sides met in Lusaka.